I'm referring to those bands of unworn rubber some of us have on our rear tires. How much is normal? I've been using the Pirelli app on my phone that is supposed to measure lean angle from the sensors on your phone however it has been saying that I corner at 50 degrees. 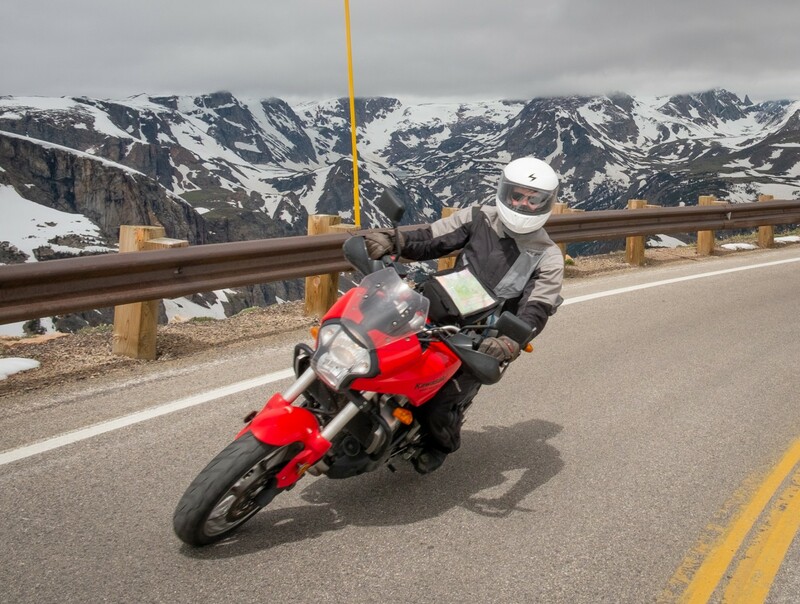 How can this be physically possible on the Versys? 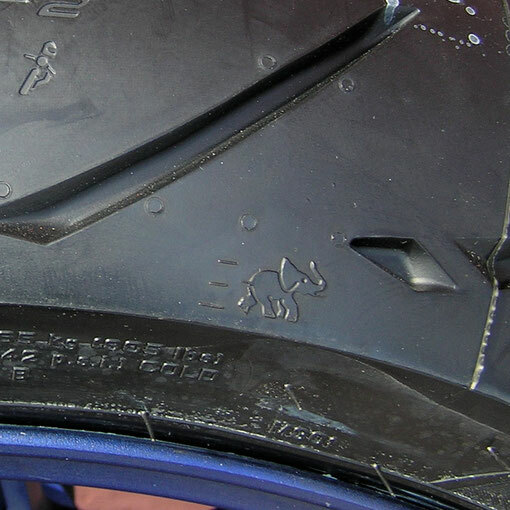 On my rear Metzeler tire that has 3000 km on it you can still clearly see the elephant they put near the edge of the tread. It's never touched pavement. There is still a 7-8mm band on my rear tire of unscuffed rubber on either edge of the tread, and I feel I am a fairly aggressive rider although I have never scrapped pegs on the bike. I usually have about 2mm on mine. So long as you're riding within your limits and you're enjoying the ride I don't think it matters. 2 mm is the width of a pocket knife blade at its thickest part? I seem to remember in a similar thread that the point was made that two riders of the same weight on identical bikes could go around the same corner at the same speed at quite different lean angles. I guess this is evident in road racing . If I've got this right, then lean angle is not the decisive factor in cornering speed nor an indicator of rider ability. Now countersteering, that's an entirely different matter .... .
One of Tim Tyler's pics in the I.V.M. thread shows Gustavo coming around a left hand curve with his front wheel definitely pointing in the wrong direction (p. 16, post 154, 3rd pic down). What was the man thinking ffs? .... Now countersteering, that's an entirely different matter .... .
What was the man thinking ffs? He was probably thinking "I want to go round that corner"
We Yanks call 'em chicken strips. I don't worry about such things (maybe that's why I'm still riding after 30+ years), but on most of my prior bikes I've always left strips of maybe 1/2" on the rear, a bit more on the front. But on the Versys, I get the rear fully scuffed out to the edges. Strangely though, the fronts on my Versys have had somewhat larger chicken strips than on my prior bikes. Yes, it depends on how and where you ride (type of roads, line you take through any particular curve, etc. ), what tire pressure and/or load is on the bike, etc. It also depends on the tires, as they don't all have the same shape. On most 90/10 tires, I usually have very little or no gaps to the edge. On the Shinko 705, riding the same roads I usually do at the same speeds, there is a 1 cm area I don't seem to need to make those same curves. As I mentioned on the 705 thread, the profile is quite a bit taller and a bit narrower than a other tires I had on it, so it doesn't need to lean and deform as much.